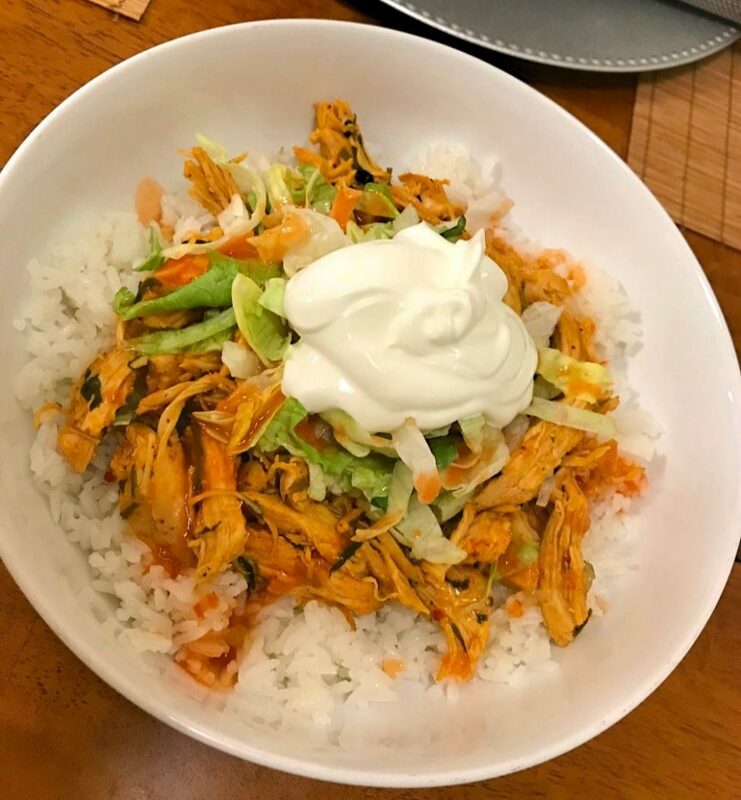 It’s one of those holiday dishes that I DID NOT grow up eating. 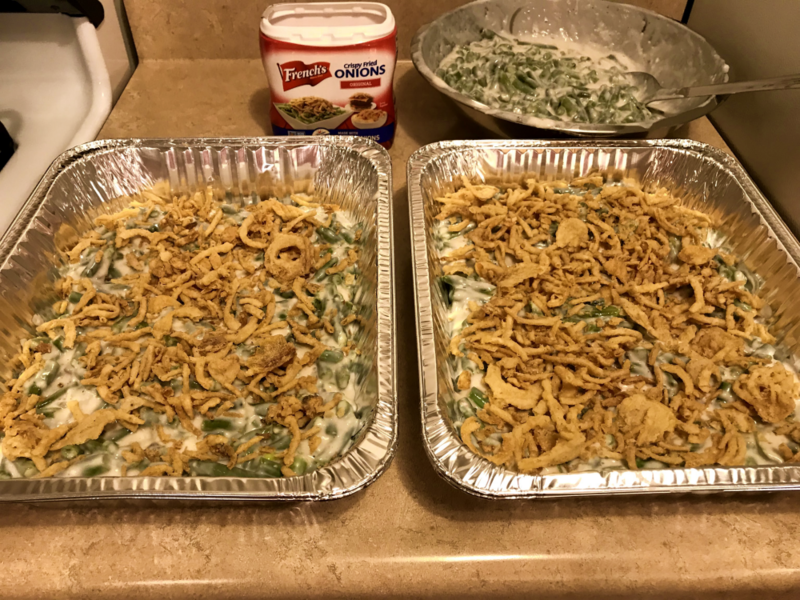 Ok so yes, green bean casserole is a classic holiday dish. It probably makes an appearance on every traditional Thanksgiving table. For good reason too! It’s delicious. 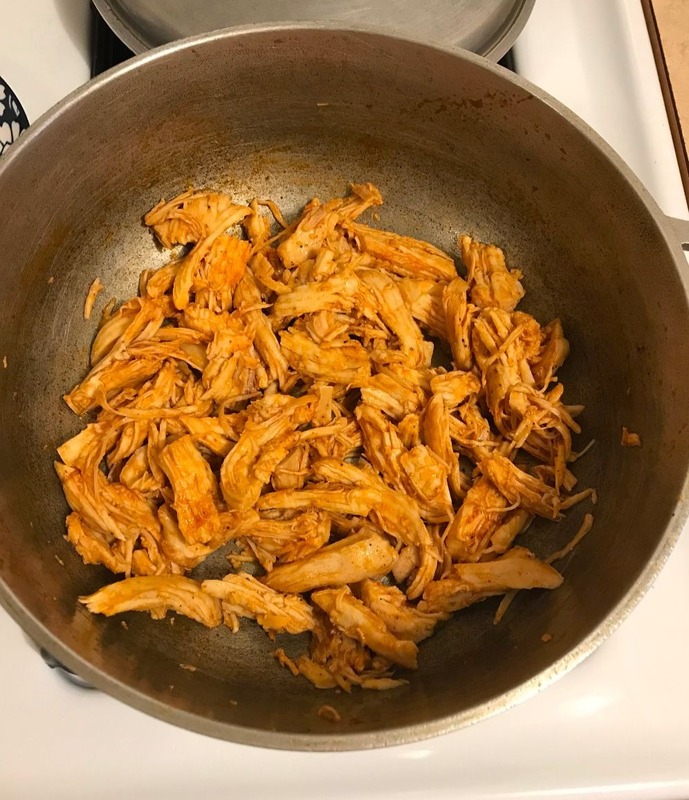 But…I’m Dominican guys, so our dishes were a bit (or very) different from the traditional dishes that we see during the holidays. Our idea of the perfect holiday table would include dishes like pernil, moro, and ensalada de papa, along with a few other wonderful sides. Translation to all those marvelous dishes would be: slow roasted pork, deliciously seasoned rice with beans blended in and the most gorgeous pink potato salad you’ve ever seen. 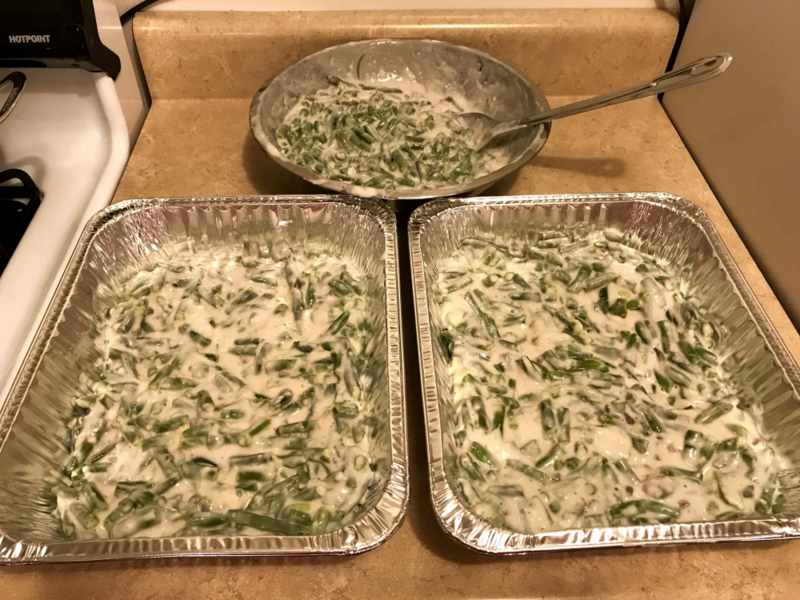 But, this post is about the awesome green bean casserole. 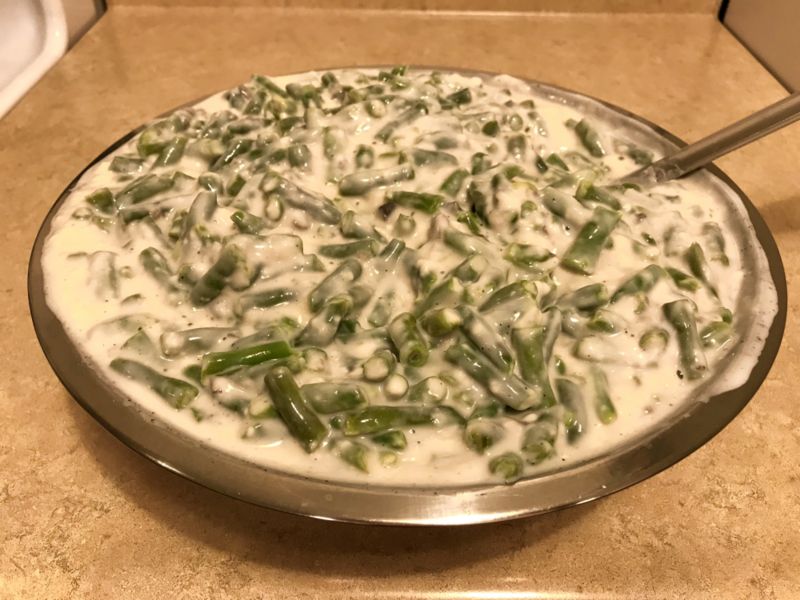 So let me focus in on this amazing combination of healthy green beans with the not so healthy fried onions and creamy mushroom sauce. Don’t we love the holidays? 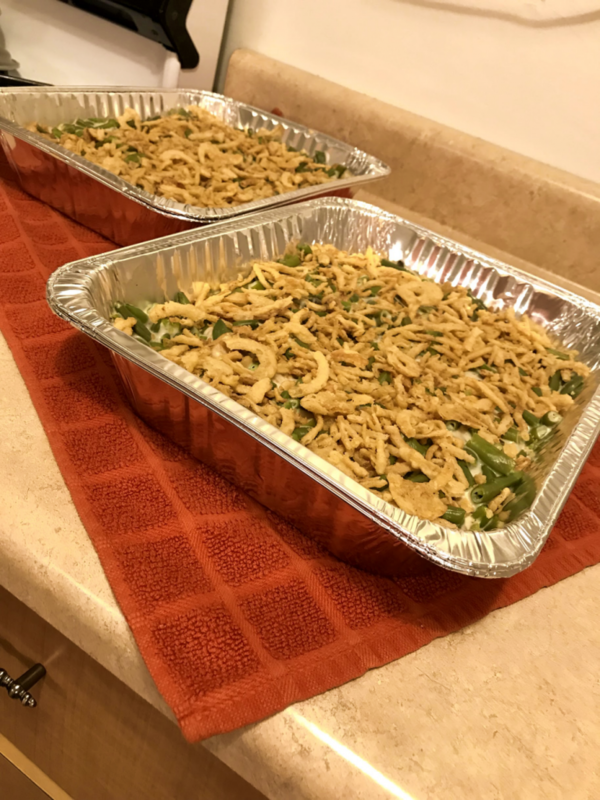 I’ve been making a green bean casserole big enough to feed about 20 people for the last 3-4 years now. 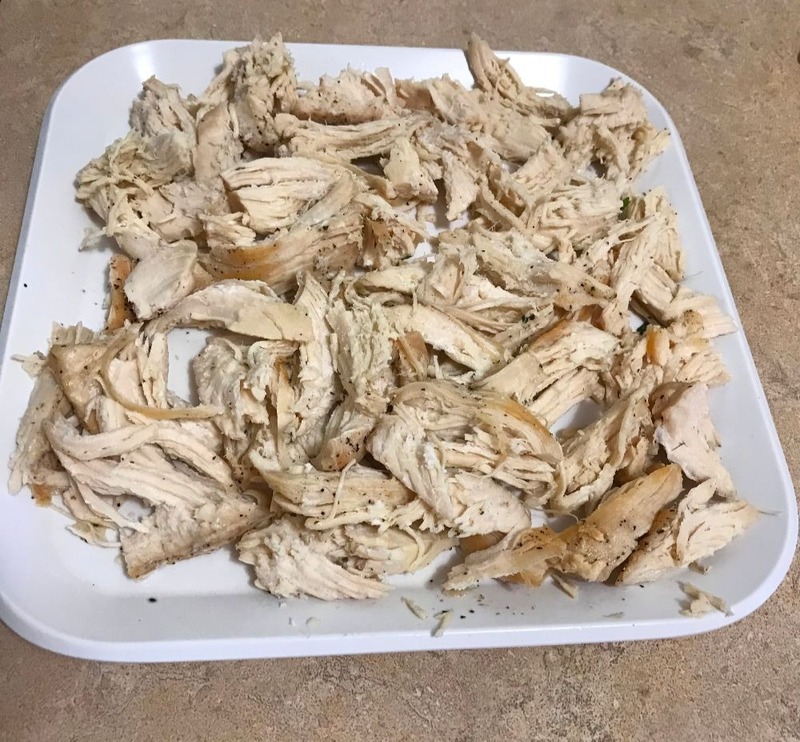 I make it for my husband’s Thanksgiving potluck at work. I’m really not confident enough to host an entire Thanksgiving dinner yet but I have no problem dishing out one or two large dishes for events like this or to bring along to family. 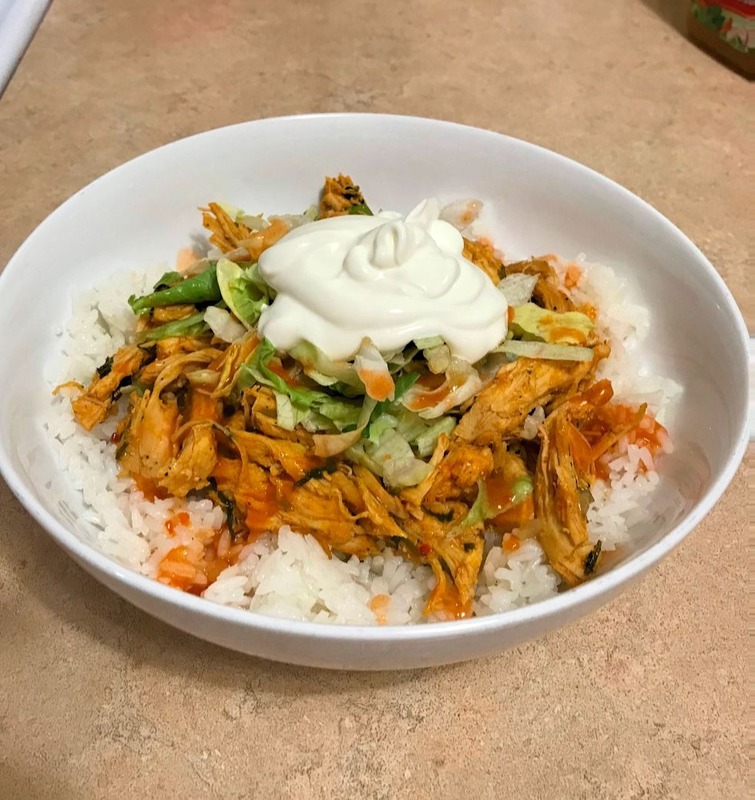 I remember having a hard time finding a recipe for 20 people back when I first started making this dish. 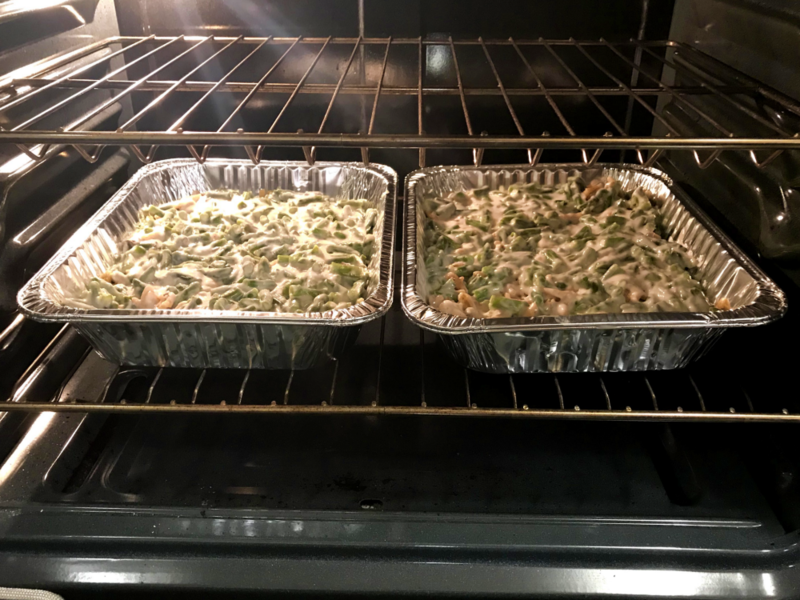 So I decided to share with you step by step exactly what I do to make this green bean casserole big enough to feed a crowd. I will also explain how I make this the day before because well let’s face it, I’m not waking up at the crack of dawn to put this thing together and have it ready in time for my hubby to carry it off to work before 7 am when he leaves. I prefer French cut green beans but the supermarket only had cut green beans so that’s what I’m using this year. When your water comes to a boil drop in your green beans. 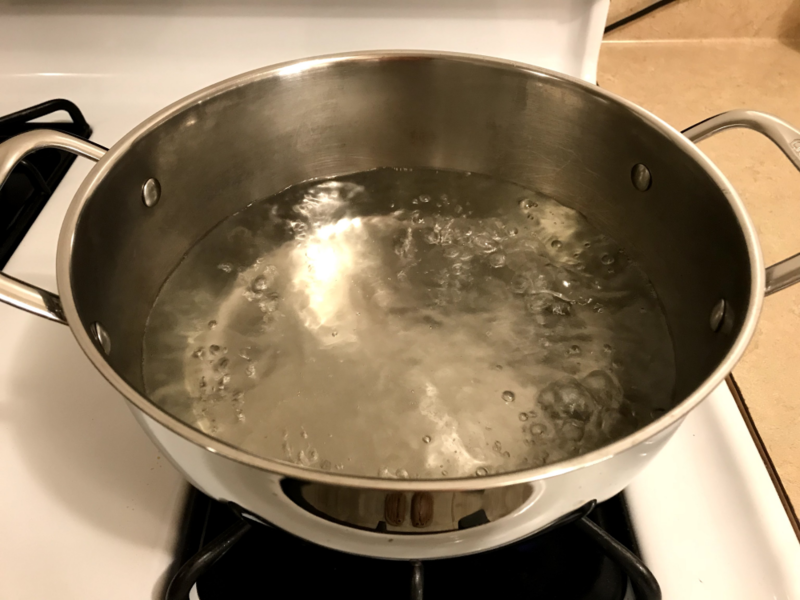 I needed way more water then what I started with so be sure to use a very large pot with plenty of water. 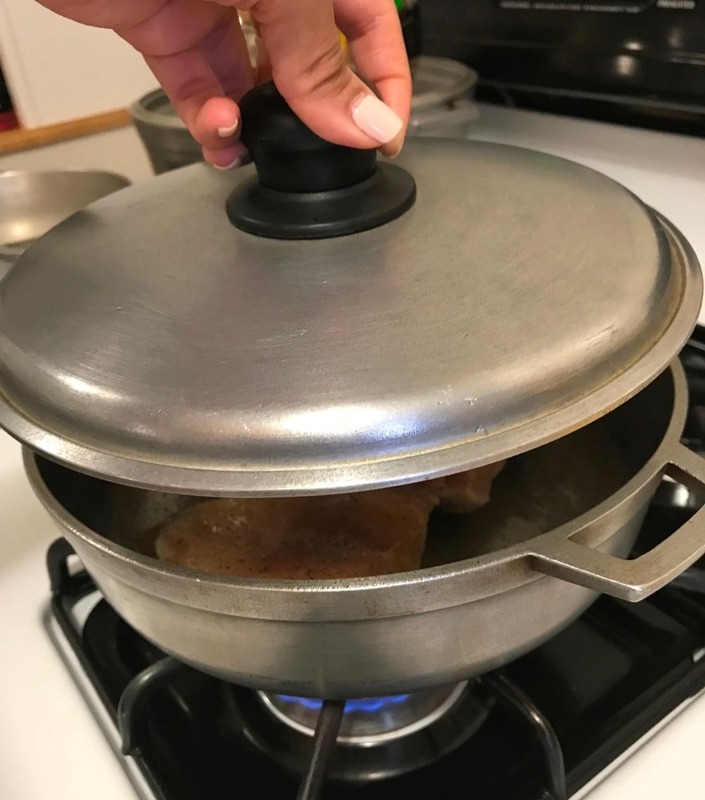 This step is to defrost your green beans so they only need to boil for a few minutes. 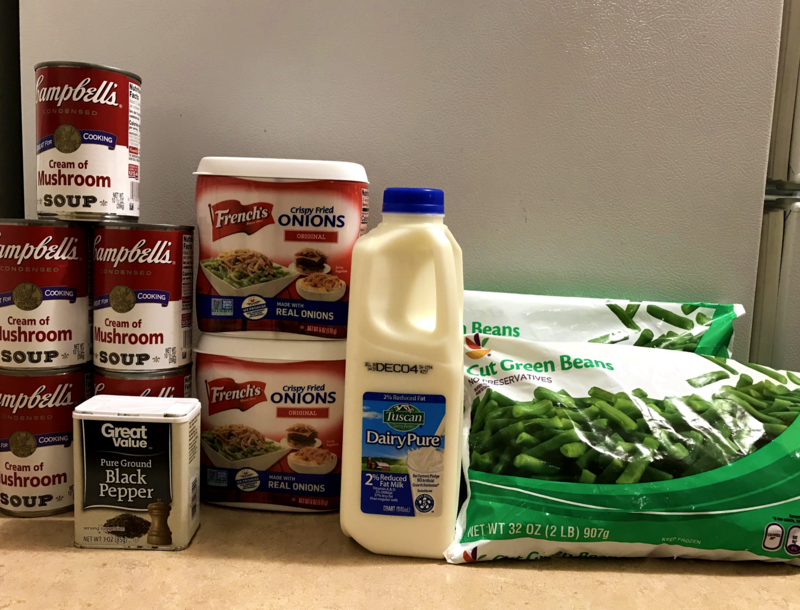 Once everything is mixed in your bowl you can start mixing in the green beans. It’s looking good! Now, since I am preparing this for the next day I normally don’t add the fried onion topping right away. After the 30 minutes, baking time has passed I let the casseroles cool down and then refrigerate. 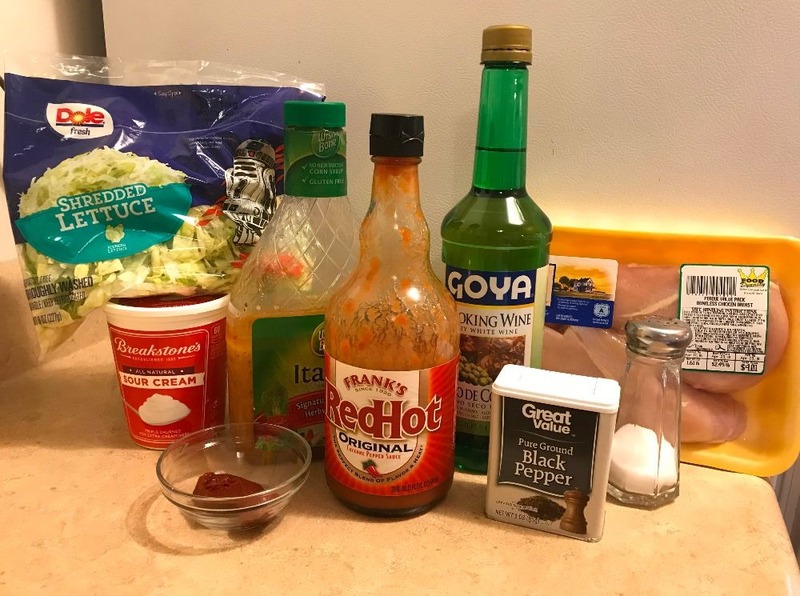 The following morning I add the remaining container of fried onions to both casseroles, again divided equally, and then I bake loosely covered with aluminum foil at 400 degrees for 20 min. Then I uncover them and bake for another 5-10 minutes to brown the fried onions. That’s it! 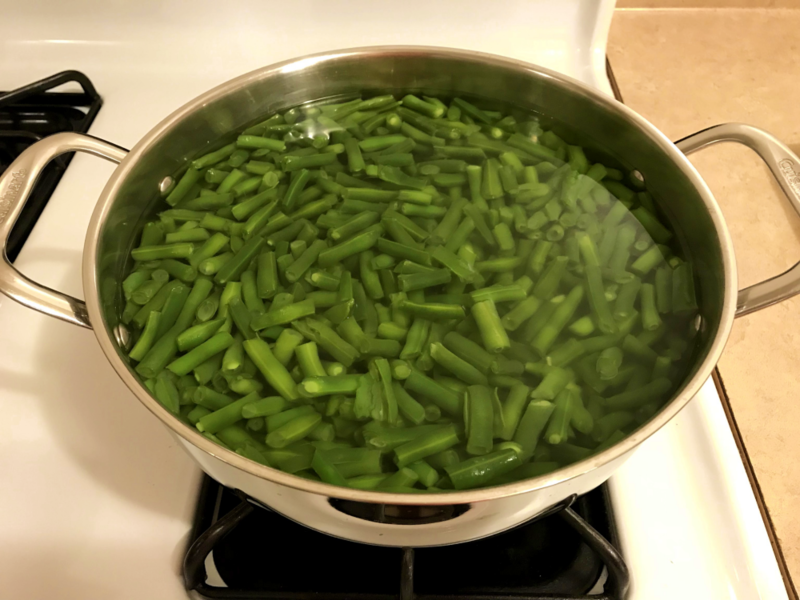 Add your frozen green beans to the pot of boiling water and boil for about 5-10 minutes or until the green beans have defrosted then drain. 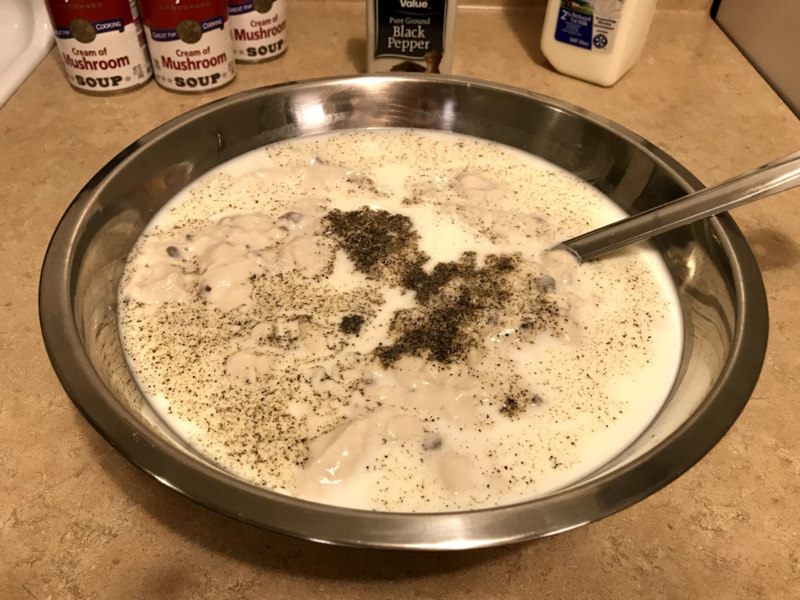 While beans are boiling, combine your cream of mushroom soup (all 5 cans) with the 2 cups of milk and black pepper. 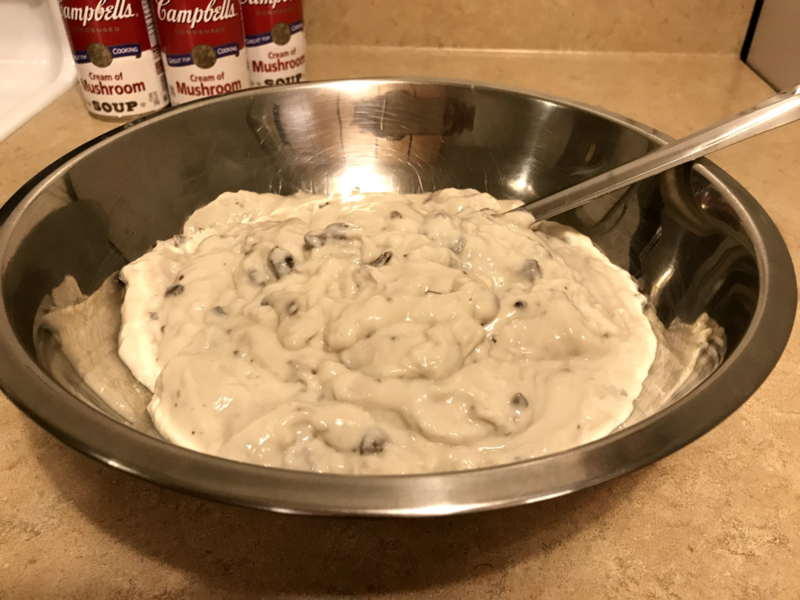 Next, add your green beans to your cream of mushroom soup mixture. 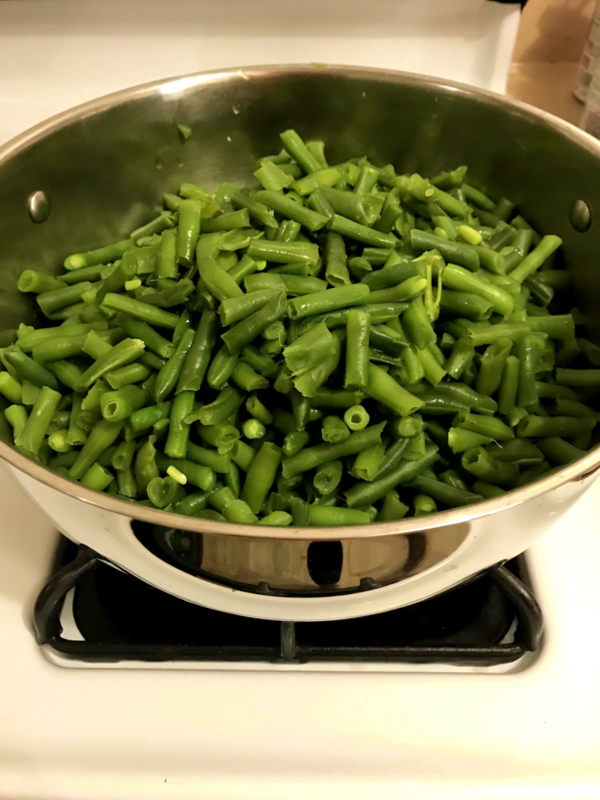 Cover the bottom of your casserole dish of choice with about half of the green beans. Top the layer of green beans with 1 full can of fried onions (divide the can equally if using two pans as I did). Add the remaining green beans to the top of your green beans and fried onions layer. Bake for about 30 minutes or until warmed through and bubbling. If you are preparing this a day in advance allow the casserole to cool and then refrigerate. Top the casserole with the remaining can of fried onions the next morning and cover loosely with aluminum foil. Then bake the casserole for 20 minutes at 400 degrees. After 20 minutes remove the foil and bake for another 5 -10 minutes to brown the fried onions. If you are preparing this for the same day then go ahead and add your fried onions before baking the casserole. Bake it loosely covered for about 20 minutes then uncover and bake another 5 – 10 minutes or until the fried onions are browned. You can use whole milk instead of 2% milk if you’d like. I always have 2% on hand and it works fine for me. 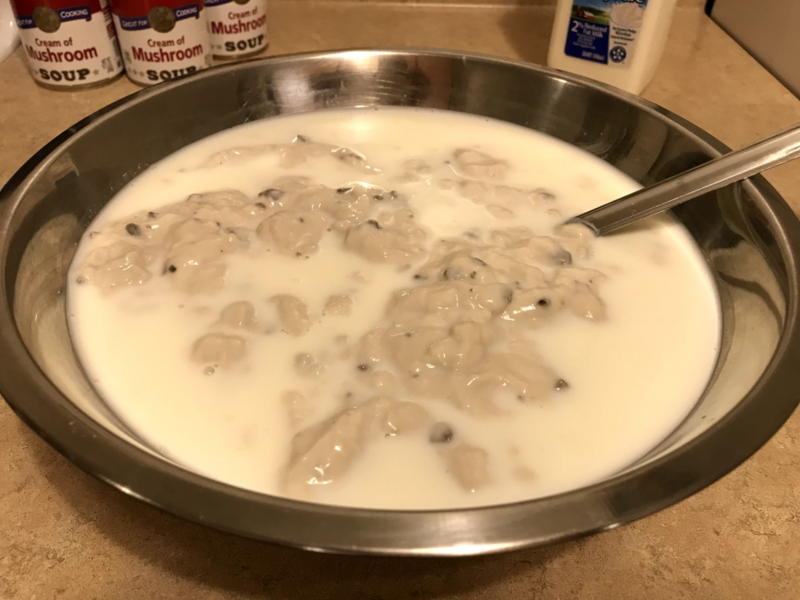 Whole milk, of course, will make the casserole even creamier. 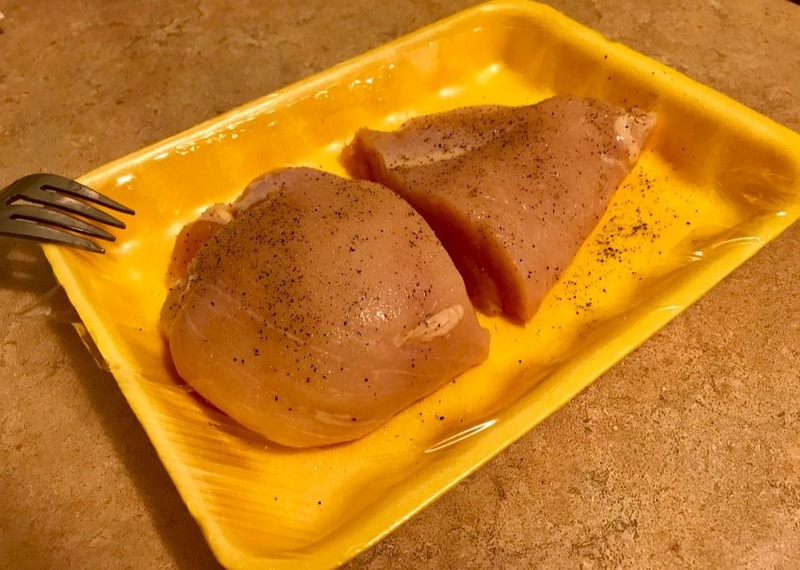 You can also use canned green beans instead of frozen. 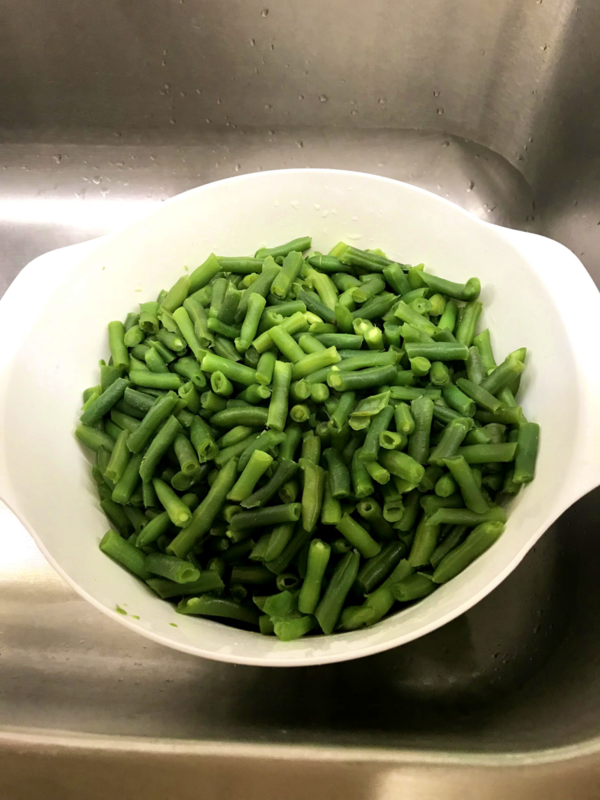 Just make sure to drain all the water out and rinse your green beans. Thanks for stopping by! 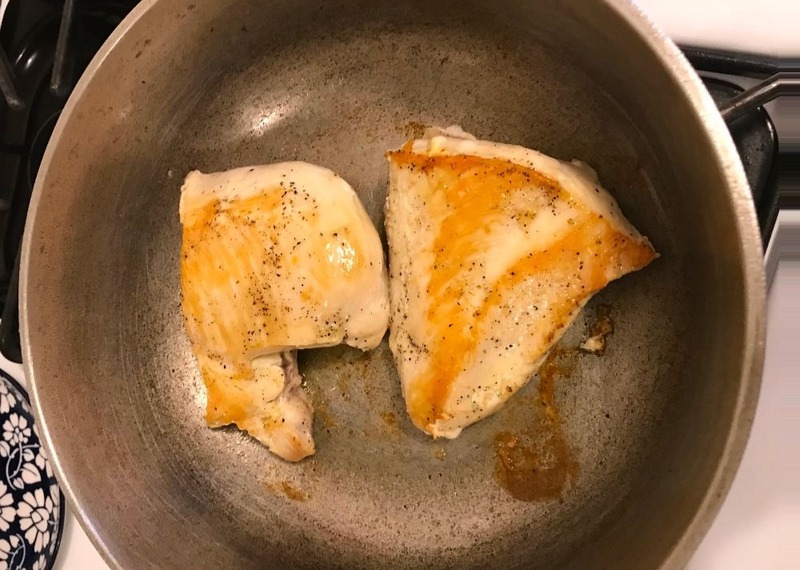 Hope you enjoy this recipe if you give it a try.